The Pixel 2 is said to be powered by a yet-unknown Snapdragon 836 SoC. The Pixel and Pixel XL were released in October of 2016 to a general consensus that, while they didn't do anything revolutionary, they were excellent phones that provided a fantastic user experience. Later, Google's Product Lead for the Pixel phone asked for feedback on the two handsets. Some of the chief complains were the camera bump, aesthetic similarity to the iPhone, and large bezels. 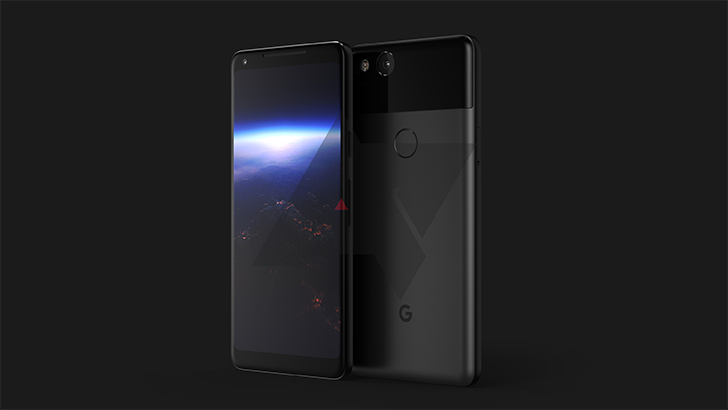 Leaks and renders make it appear that the Mountain View company has taken much of the feedback to heart, but it looks like we won't have to wait much longer to find out for sure: the latest news is that the next generation of Google's flagship phone will debut on October 5th. Previous news suggested that the Pixel 2 would use a Snapdragon 835 with 4GB of RAM, but it would lose a headphone jack. While the headphone jack is still unfortunately missing, the latest info from tweeting phone-aficionado Evan Blass says the phones will use a new Snapdragon 836 SoC. Given that the Snapdragon 821 was an iterative improvement on the 820 that achieved 10 percent more performance (due to overclocking) with about 5 percent increased power savings (due to optimization), we can speculate that the Snapdragon 836 SoC will likely be an optimized version of the 835 with higher clockspeeds across the ARM chip's big.LITTLE cores. Other specifications are yet unknown, but the Pixel 2 is shaping up to be a decent phone so far — save for the expected lamentation about the missing 3.5 mm audio jack.